"Installing the Climate-Shield® Rain Screen System is simple and effective." Proper preparation and installation of the Climate-Shield™ Rain Screen Siding System helps ensure that your building envelope is properly protected. By following the Climate-Shield Installation Guidelines, you are on your way to a beautiful rain screen wood siding installation to shield your entire building envelope and home or structure naturally and beautifully. Our online resource center will save you time, worry and expense. When you are ready to install your rain screen siding system, we have prepared the following step-by-step instructions to guide you throughout the project. You can ensure that your siding material is installed correctly and save yourself unnecessary aggravation. If you want to install this system on your own or with minimal help, please refer to this website and look forward to a successful project. Each step of the installation process is explained in detail using basic construction terms. Even if this will be your first time installing this kind of protective building envelope, you should be able to read and understand the steps. 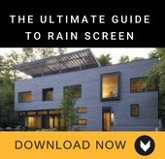 Here's a step-by-step "Builders' Rain Screen Checklist" to help you deliver a rain screen project you will be proud of for years to come. We hope this is helpful. What type of wall are you cladding over? 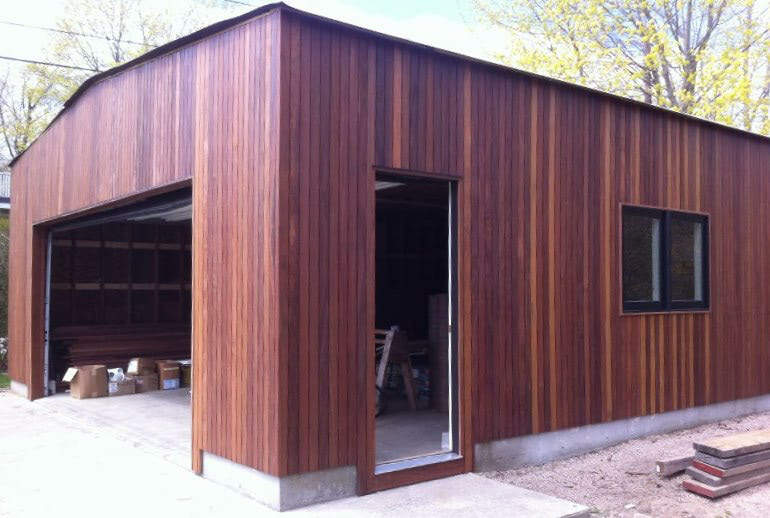 Are You Installing Wood Siding Over Plywood Sheathing? Because the Climate-Shield rain screen system can be installed vertically or horizontally over plywood or OSB exterior sheathing, we have developed installation guidelines to help you for both of these types of wood siding installations. What if you are not using plywood sheathing? Are you installing rain screen with Z-Girts? If the design requires a rain screen installation over exterior insulation more than 1-1/2" thick, the Climate-Shield Z-Girt is an excellent attachment option. The Z-girt provides a marine grade aluminum attachment to eliminate potential galvanic action in your wall assembly. 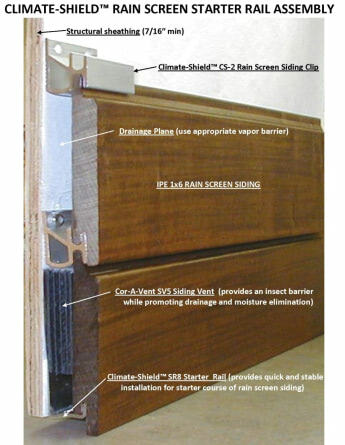 Please refer to the Climate-Shield rain screen system Horizontal Installation guidelines with CS2 Clip and CSZG Z-Girts. "Because installing horizontal wood siding over plywood or OSB exterior sheathing is the most common wood rain screen installation method, let's start there." The Climate-Shield® rain screen siding system combines carefully manufactured clips and fasteners with precisely milled premium hardwood lumber, producing a stunning finished product that provides a new look and function to exterior siding. This novel approach to real wood siding combines lessons learned from buildings constructed hundreds of years ago in Europe with marine grade aluminum alloy clips and hardware - producing a variety of finished siding appearances (horizontal, vertical, angled) that are free of unsightly fasteners and hammer marks. That said, when you ‘lift up the hood’ on this siding system and break down the components, you quickly see that it uses standard wood siding installation practices and tools. Don’t be afraid of what you have not experienced. You will love the exact tolerances of the hardware – it automatically sets the proper ‘rain screen gap’ without using furring strips. And best of all, the fundamentals of the installation are consistent with wood siding, shingles, clapboards and tongue and groove siding products. Level lines, corner and window trim details, as well as attention to flashing details are part and parcel of all siding systems and the Climate-Shield rain screen system is no exception. When you look at the basic components, you will quickly appreciate how the Climate-Shield rain screen system provides a healthy, efficient and beautiful finished product. All that and the installation process is simple and efficient. Although we have some very good installation guidelines for your particular needs, we thought you might want to look over the following information for a brief overview of installing wood rain screen siding horizontally first. Climate-Shield Starter Rail - The aluminum starter rail is manufactured with pre-drilled holes for fastening to the building sheathing and weep holes at the bottom for drainage. Snap a level line, grab your battery-operated screw gun and you are ready to drive the supplied stainless screws. One huge benefit of the system is that, although the hardware is designed to be installed at 16” centers, it is not necessary to fasten the hardware into the studs when using plywood sheathing. The clip and rail system is engineered to be fastened directly to plywood or OSB sheathing. Save yourself the time of looking for studs and measuring and cutting the materials so that seams land on a stud. The starter rail component is designed to receive the first piece of siding and drain water/condensation that enters the cavity between the weather resistive barrier applied to the sheathing and the backside of the siding. Simple, effective and a breeze to install. 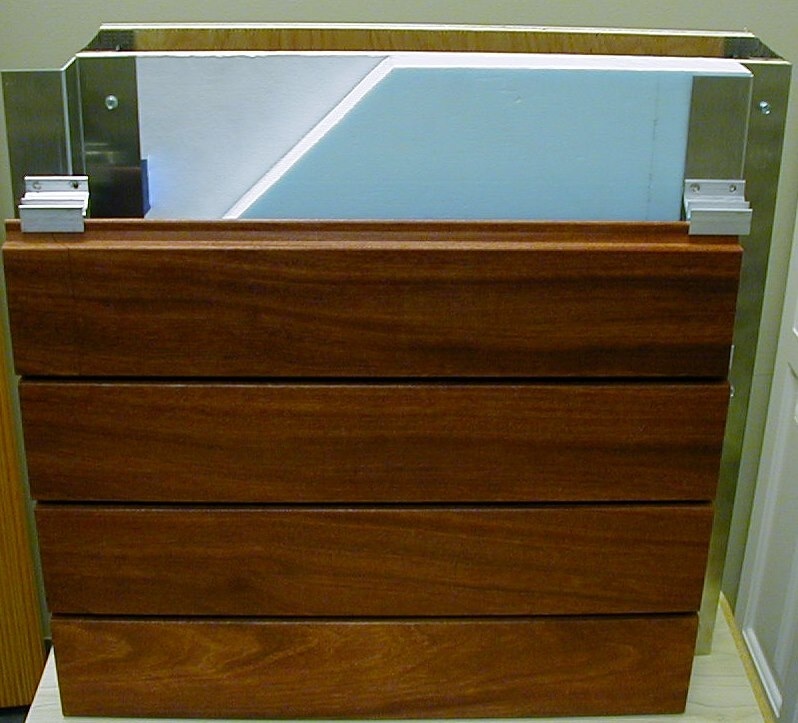 Check out the Climate-Shield wood rain screen installation video here. But don’t think those fine qualities translate into a complex installation. 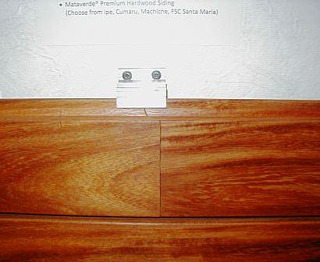 Quite the contrary, slip the Mataverde siding product of your choice over the starter rail, tap with a rubber mallet and your first course is installed – level, and free of surface fasteners. Cut ends of hardwood need to be treated with an end sealer, which helps minimize potential end-checking of the exterior siding boards. Your installation team will appreciate the consistent quality of the lumber and ease of installation. Climate-Shield Rain Screen Clip Installation. Moving up from the starter course, following courses of siding are installed on manufactured clips designed to secure the course below and receive the course above. The pre-drilled marine grade aluminum alloy clip is a breeze to install, engineered to be installed into the sheathing with 2 stainless steel wood screws at 16” centers, the clips secure the top tongue of the siding directly to the plywood sheathing. No bent nails and no looking for the studs. One course installed on top of the next, installed as quickly as you can drive 1” screws into plywood sheathing. Seams can land anywhere on the building, just cut the abutting pieces of siding in the body of the building at a 45° angle (scarf joint), apply end grain sealer, move on to the next piece of siding. Laying out the seams on the building is generally consistent with clapboard installation – stagger the seams so that they are as discreet and disconnected from one another as possible. There are other architectural possibilities though and design professionals often take advantage of those qualities. Point is, this is an extremely flexible siding system that can be installed utilizing standard siding practices. Much like other sidings, Mataverde siding is cut and fit to the trim at the corners, soffits and windows. No need to bother with a caulk gun though – the siding system is designed to take on and shed wind driven rain, quickly draining and drying via the rain screen gap (wall cavity) created by the Climate-Shield starter rail and rain screen clip. 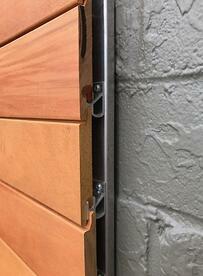 This is not your dad’s siding, but it installs much like it - and performs much better. The beauty of the Climate-Shield rain screen system lies in the exact manufacturing standards, high-performance of the system and the simplicity of the installation. Compound those qualities with the natural beauty of premium hardwoods from sustainable forests and standard siding practices and the end results will astound you and your clients. Vertical rain screen siding installations are easier and more effective than ever before with the Climate-Shield Rain Screen System. No complicated mazes and layers of furring strips are necessary when installing the Climate-Shield rain screen over structural sheathing. "See how quick and easy it is to install the Climate-Shield Rain Screen System." 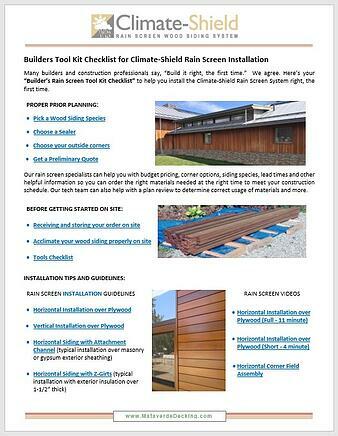 Here's a helpful checklist of tools and supplies that are typically required fro installing the Climate-Shield Wood Rain Screen System.